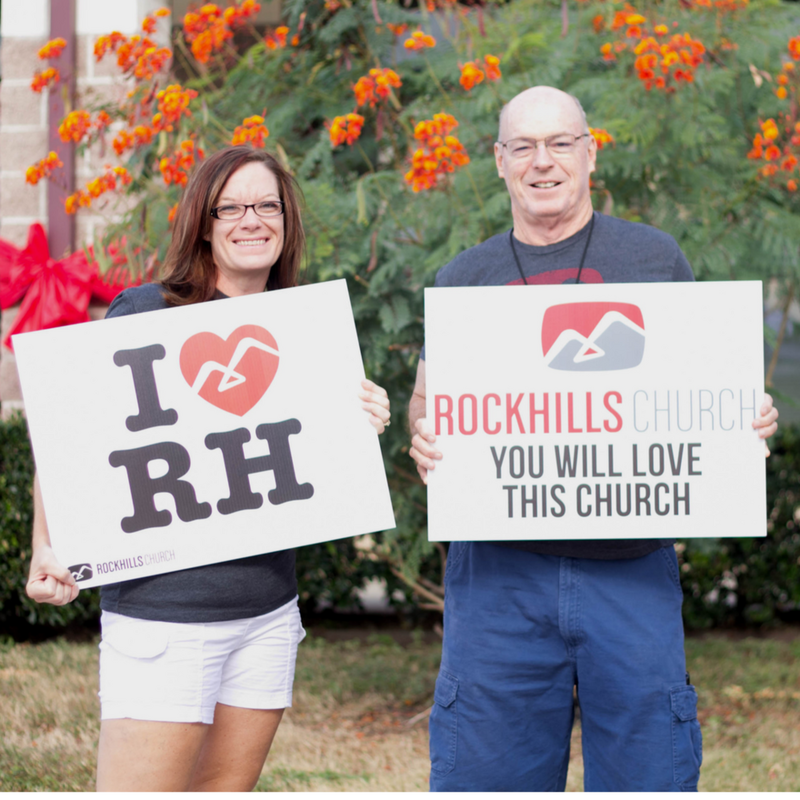 Rockhills Church exists to love God, love others, and help people find and follow Jesus. God is the creator and ruler of the universe. He has eternally existed in three persons–the Father, the Son and the Holy Spirit. These three persons are co-equal and are one God. and it separates us from a relationship with God. Human beings were created to exist forever. That means that human beings will either exist eternally separated from God by sin or in relationship with God through the forgiveness and salvation that comes in Jesus Christ. To be eternally separated from God is hell. To be eternally in relationship with God is eternal life. Heaven and hell are places of eternal existence. Jesus Christ is the Son of God. He is eternal and co-equal with the Father. Jesus was born of a woman to take on human flesh so that he could bring salvation for humanity. Jesus lived a sinless human life and offered himself as the perfect sacrifice for the sins of all humanity by dying on a cross. He bodily arose from the dead after three days to demonstrate his power over sin and death. He ascended to heaven’s glory and will return again to earth for the day of judgment–then he will reign over the new heavens and earth forever. written by human authors, under the supernatural guidance of the Holy Spirit. error–essential for understanding salvation and how to live faithfully. Salvation is the gift of God to human beings. Human beings can never cover or pay for their own sin by self-improvement or good works. The only way to receive the gift of salvation is by putting your faith (trusting) in Jesus Christ as God’s gracious offer of forgiveness and redemption. Jesus made atonement for our sins and justified us to make us right in relationship with God. There is no other means to salvation. Eternal life begins the moment one believes and puts their faith in Christ. The Holy Spirit is equal with the Father and the Son of God. He is present in the world to make human beings aware of their sin and need for Jesus Christ. Once a person puts their faith in Christ, the Holy Spirit lives within them. The Holy Spirit provides each believer with confidence, understanding of spiritual truth, and guidance for doing what is consistent with God’s desires. Baptism by immersion symbolizes the death, burial, and resurrection of Jesus and by it a person is making public declaration of their faith in Christ. It demonstrates that a person has died to their sin and been raised to a new way of life. Baptism does not save, but demonstrates to the world that an individual has put their faith in Christ and is committed to living according to His way of life. Baptism is not required for salvation, but it is a command for every Christ follower and shows their love and obedience to Christ. Communion, or the Lord’s Supper, is also commanded by Jesus for all believers to participate in on a regular basis. It is an ongoing reminder for believers of why Jesus died for our sins. The elements of bread and juice symbolize Christ’s broken body and shed blood to cover the sins of human beings. Each time we participate, believers are reminded of the great sacrifice Jesus made and that we live in the reality of a new covenant with God. relationship with him. We are brought into relationship with God solely by God’s grace in Christ and live by faith in this grace daily. Rockhills Church is a part of the Reformed Church in America.